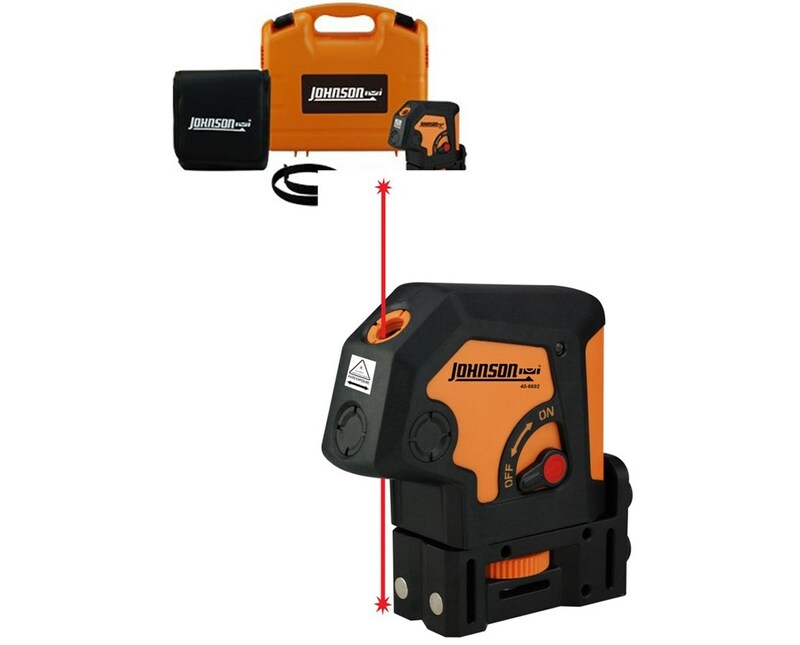 The Johnson “JLT” 2-Dot Self-Leveling Lasers is self-leveling with dot lasers that is accurate up to ± 1/4 inches at 100 feet. It comes with a multi-functional magnetic base with rare earth magnets that mounts to metal surfaces. Its housing design allows the fast and easy top and bottom track installation. It also comes with a locking mechanism to protect the pendulum during transport. Its laser beam comes in bright, bold dots to assure enhanced visibility. 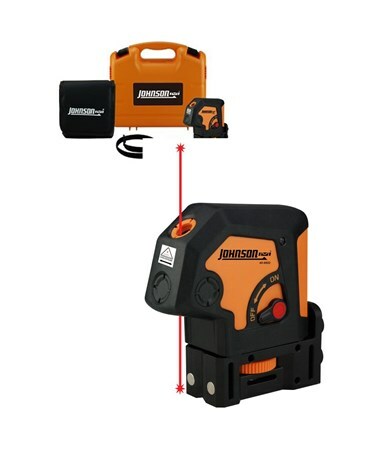 Self-leveling within ± 3 degrees and up to 100 feet interior range, this dot laser can be used with a wide range of indoor and outdoor applications. 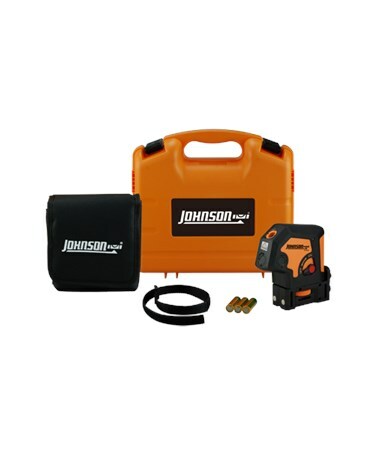 The Johnson “JLT” 2-Dot Self-Leveling Lasers has an IP rating of 54 that makes it dust proof and water resistant. It includes a multi-functional magnetic base, three "AA" alkaline batteries, mounting strap, instruction manual with warranty card, soft-sided pouch and hard-shell carrying case.